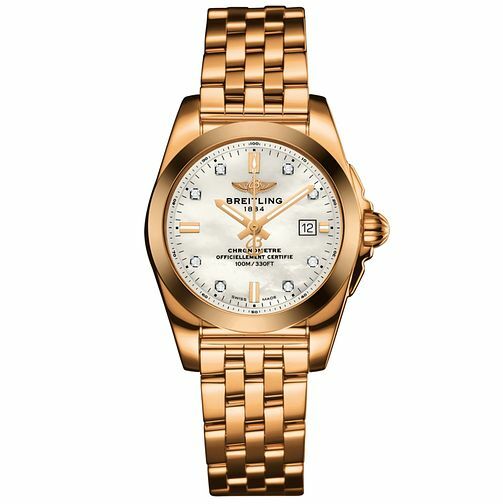 Polished 18ct rose gold, stone set cream dial are paired to deliver contemporary elegance with this sleek ladies' bracelet watch. Powered by SuperQuartz movement and water resistant to 100m. The perfect combination of high-performance technology and sophisticated aesthetics.